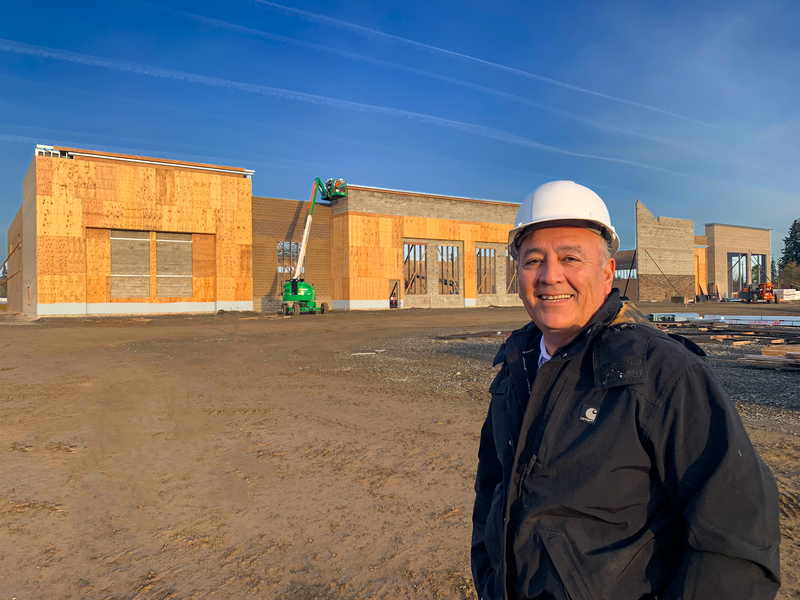 Ridgefield resident Dean Maldonado, pictured above, of FDM Inc., is the developer for the Rosauers grocery store under construction at 45th and Pioneer streets. He recently reported that although the project is a bit behind schedule due to weather and materials delivery, he’s on track to hand the building over to Rosauers around September 1st. “Once in their hands, they’ll hire their own folks to do the inside improvements,” said Maldonado. He expects the 53,000 square foot full-service, regional grocery store will open around mid-October this year. In other news at the site, Maldonado said plans for eight new businesses comprising 20,000 square feet of retail space will go to the City of Ridgefield for review soon. He expects construction to start around mid-May, and anticipates a November move-in date for those businesses. Additionally, a restaurant and financial institution are also likely at the Discovery Ridge site, with the contractors for those companies potentially starting work around mid-June of this year.